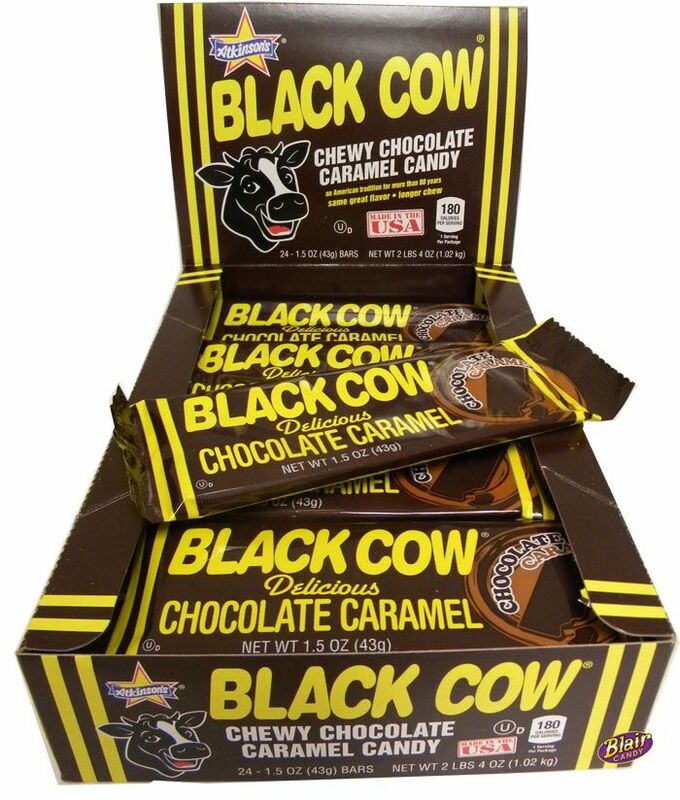 Chocolate flavored caramel at its finest, the Black Cow candy bar disappeared from shelves for many years. Needless to say, we aren’t the only ones excited that it’s back! The Black Cow caramel of the 1920s was a chocolate covered Slo Poke, while the Black Cow candy bar of today is a soft, chocolate flavored caramel chew. If you want to crack it into bite-sized pieces, refrigerating it may be helpful. But if you like a room temperature, slow chewing taffy consistency, a Black Cow caramel bar straight from the box should do the trick! Each chocolate caramel candy is 1.5 oz. This cow candy is sooooo good!!!!!!!!!!!!!!!! !